What makes Smartjack so special is how it possesses the oaty and crumbly texture of a traditional flapjack yet delivers great nutritionals. Also contains dried cranberries to deliver that fruity flavour. 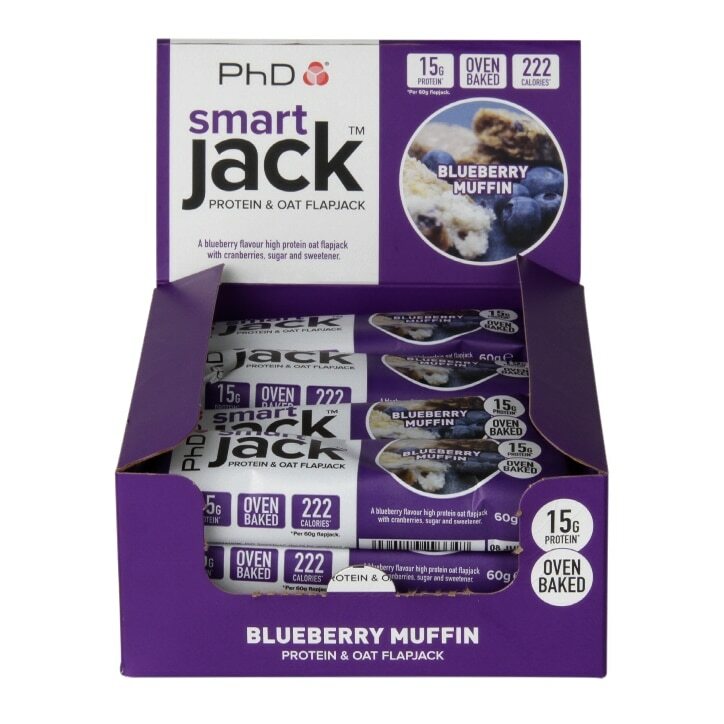 PhD Smart Flapjack Blueberry Muffin is rated 4.5 out of 5 by 4. Rated 4 out of 5 by Tinky05 from Yummy This is a lovely protein bar which actually tastes nice. Lovely blueberry muffin taste, even better warmed up. Very filling! They’re a little expensive!